Bewildered, the thief took the clothes and ran away. The Zen master then sat naked and peered up at the moon. This tale reminds us to appreciate nature, beauty and enlightenment. For the first time in 68 years, we have the opportunity to appreciate not just the moon, but a supermoon. According to NASA, the largest supermoon of the century will be in the sky at 8:58 a.m. EST on November 14 (click here for viewing times). A supermoon is a full moon that is at its closest point to earth in its 27-day orbit cycle. Because of this, the moon is much bigger and brighter than normal. 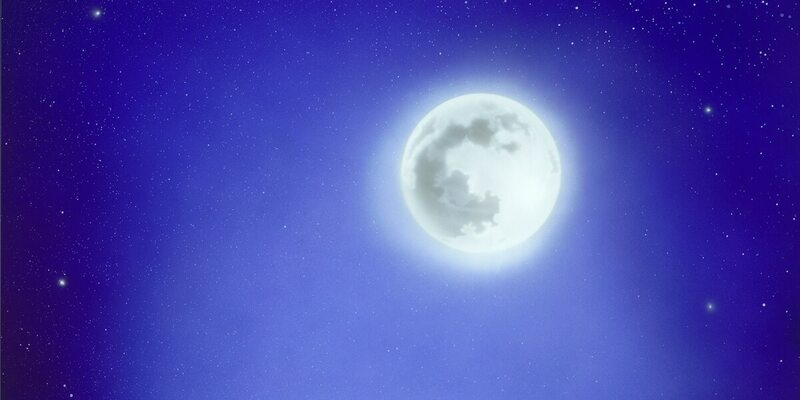 The moon will appear this way on the days immediately before and after as well. If you miss your chance to view this spectacular event, NASA states the next occurrence won’t take place until November 25, 2034. In light of this cool phenomenon, Park West has put together a small gallery of beautiful artwork inspired by this celestial body. 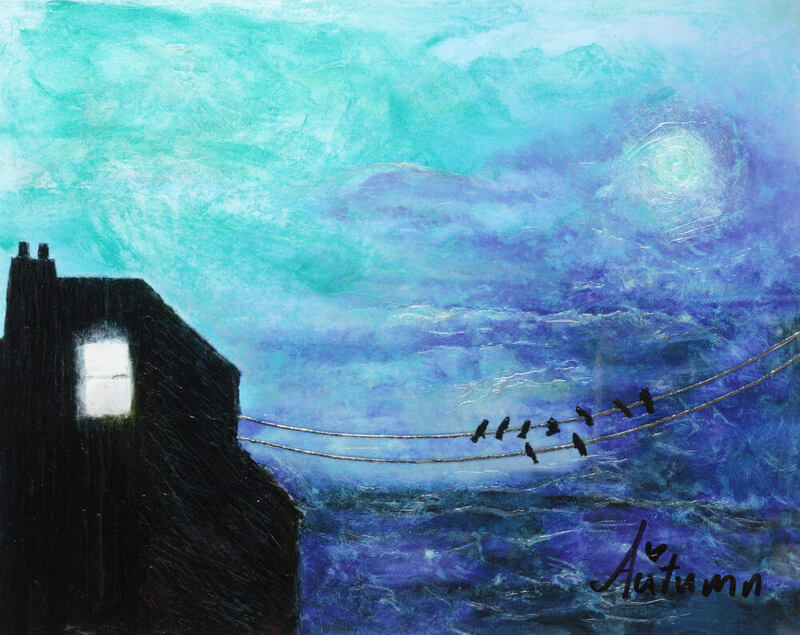 Autumn de Forest’s “Goodnight Moon” captures the moon hanging in the night sky, observed only by birds. According to Autumn’s narrative (written at age 8), the painting tells the story of a house where a grandmother watched her grandchildren play from a window. When she passed away, the children moved and the house was left empty. With everyone gone, the moon represents the grandmother, and the birds the grandchildren she watched. 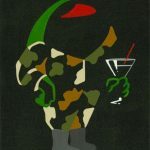 Michael Godard brings out the romantics in “olive” us with his lunar paintings. 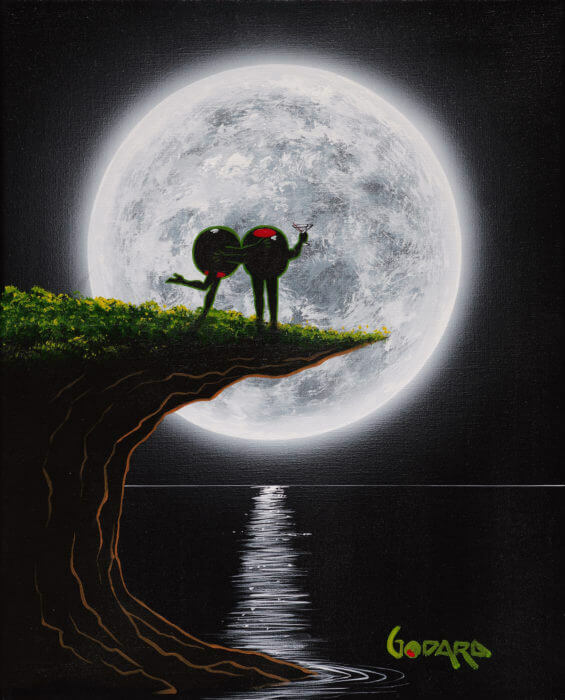 Whether the artwork is of his olive characters courting each other or the pouring of a glass of delectable wine, the glowing moons he paints amidst black backgrounds provide the perfect setting. The lunar light of a supermoon is said to be brilliant. Patrick Guyton uses hand-veined gold and silver leafing to give his paintings a luminous quality, making them perfect for capturing moonlight. 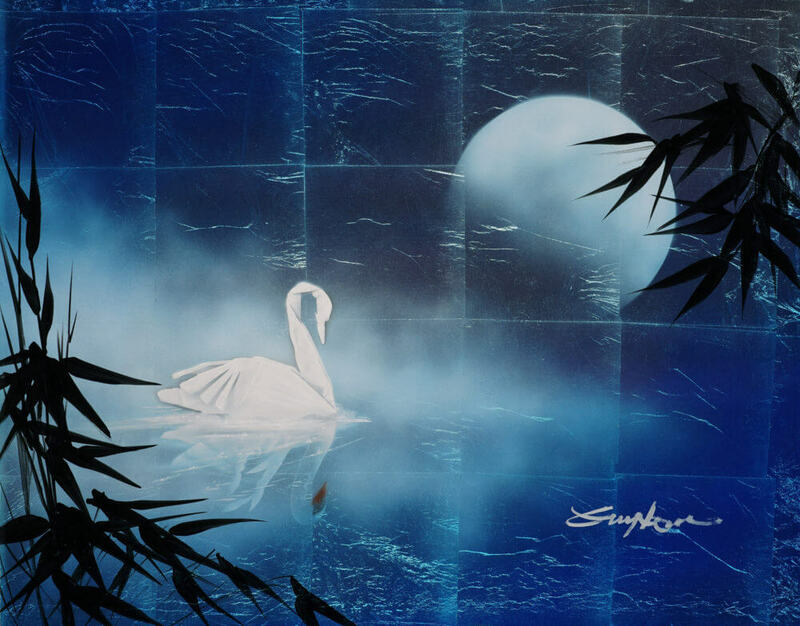 In “Moon Dream with Bamboo,” his minimalistic style depicts an origami swan floating on a misty, moonlit body of water. David Najar is inspired by nature itself, using contemporary expressionism to portray idyllic landscapes. 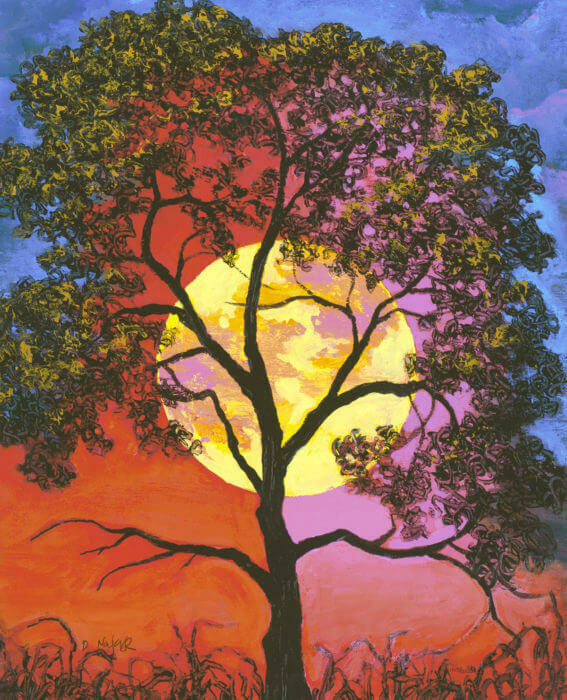 In “Moonstruck,” we see an example of Najar’s imagination and creative license as he colors segments of the sky, divided by a tree, with completely different hues. A yellow moon hovers in the sky behind a tree. Charles Lee is a master of various styles, from realism to illusionist representational to “fractal” abstractions similar to Picasso’s Cubism. 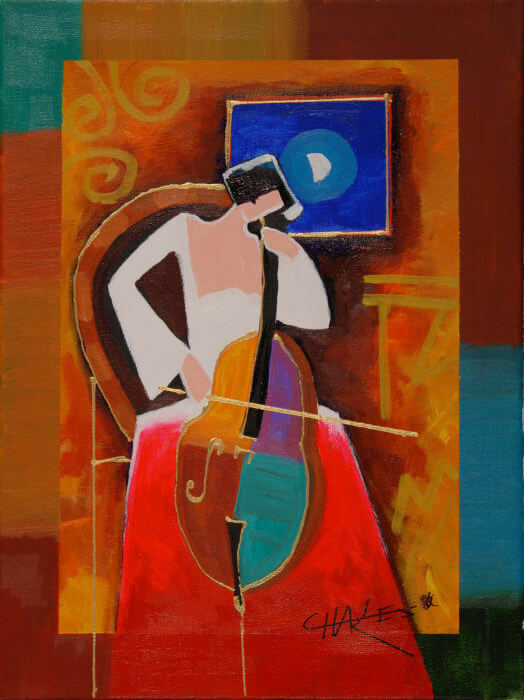 This maestro of art often depicts musical themes, and in “Cellist by Moonlight,” uses his understanding of color and spatial planes to portray a musician performing at night. Chris DeRubeis, the originator of “Abstract Sensualism,®” has featured moons throughout his oeuvre. The sleek aesthetics of his metal art lend themselves to harnessing light for dazzling effects. 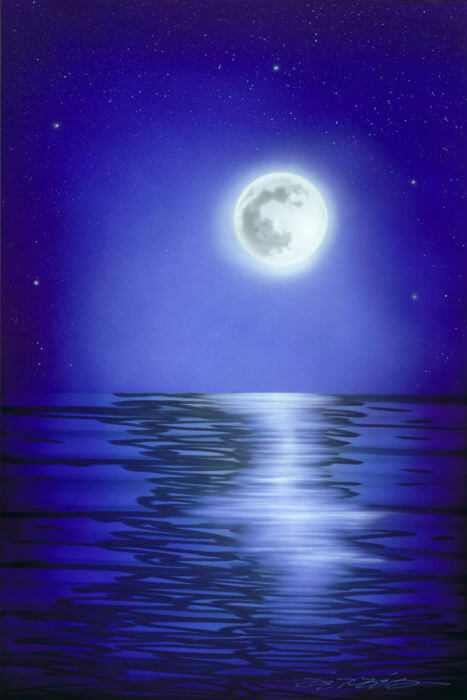 As with his other works, DeRubeis combines elements of realism and abstraction in “Blue Moon” to cast the moon’s reflection in the water. With any luck, the view of the supermoon will not be obstructed by clouds. 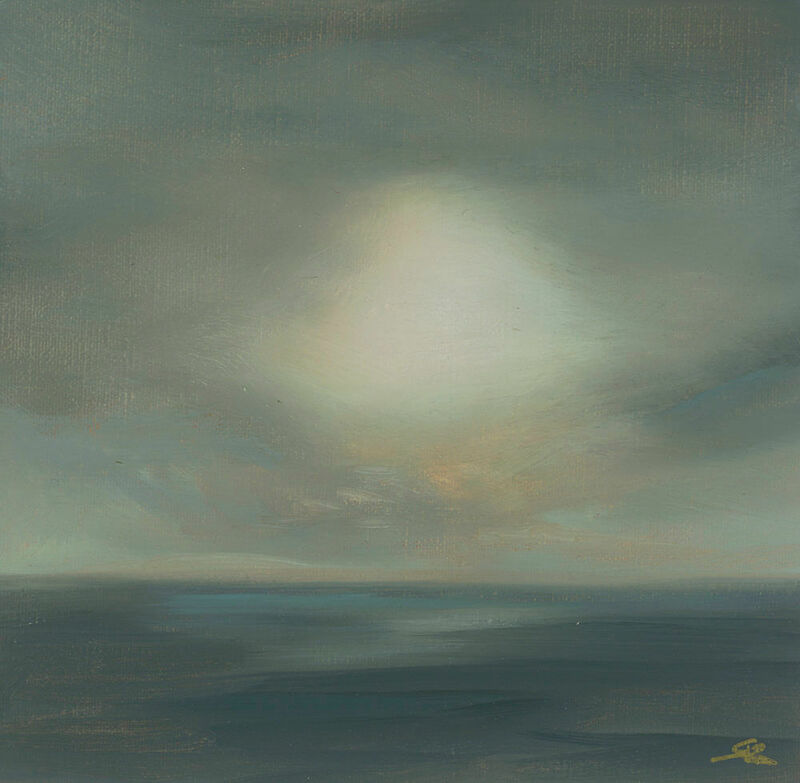 However, even if it is, Australian artist Rachel Robb shows the beauty and mystery of an obscured moon. Her firm grasp of the “chiaroscuro” (the treatment of light and shade) is on display in “Moon,” which gives this hazy scene an ominous air. This painting on metal by Marko Mavrovich displays a masterful command of lighting. 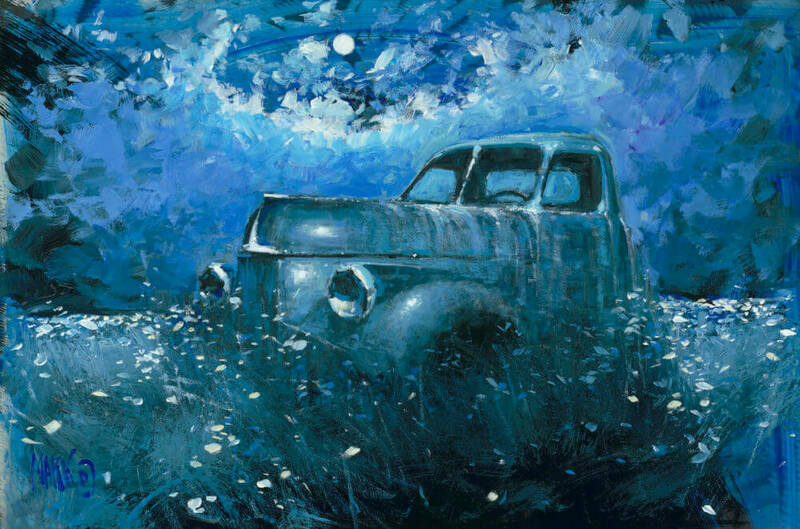 The aptly-named “Moonshine” focuses not on the moon, but its brilliant light as it illuminates a serene field where a dilapidated truck resides. The vintage vehicle evokes nostalgia while the setting suggests timelessness – the truck is old, but the scene could be now or 100 years from now. Yaacov Agam creates art with a unique nonrepresentational style that incorporates aspects of formalist art with Kabbalah (the study of Jewish mysticism). As such, Agam seeks to transcend the visible by creating art that encourages movement and viewer participation. 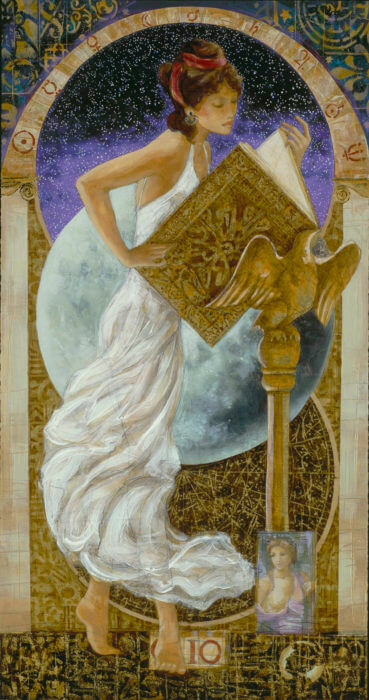 In “Moon-Noon” (shown here at five angles), viewers who move from one side of the artwork to the other witness it changing, as if watching the sun and moon rise and set. 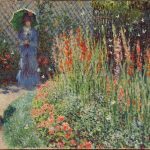 For information on collecting these or other works, contact our gallery consultants at (800) 521-9654 ext. 4 or sales@parkwestgallery.com. Thank you for your interest, William! We will pass along your requests to our gallery consultants. You may also feel free to contact them at (800)521-9654 ext. 4 or sales@parkwestgallery.com.